If you are looking for a coworking space in San Antonio, this post is for you. A well-known city in Texas and being the seventh largest city in the USA, San Antonio is quite popular because of it’s rich cultural and colonial heritage. Apart from its beautiful roads, historical sites, amazing nightlife, San Antonio also has some of the best coworking spaces. In recent years, numerous shared offices have come up because of the ever-growing demand for well designed, well maintained yet affordable working place. 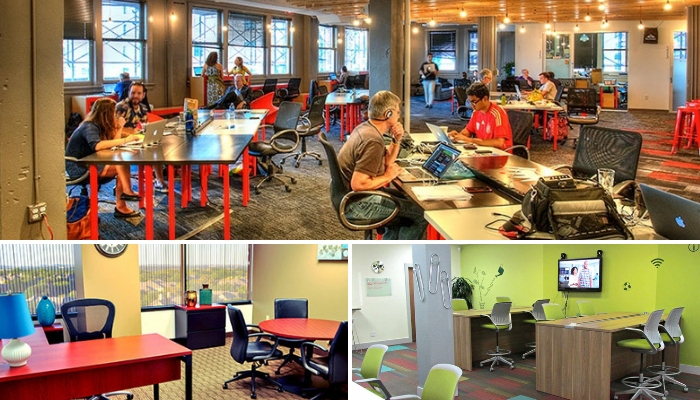 Coworking spaces San Antonio have all the modern amenities and are thus much in demand. You will need to choose the best coworking space depending on a few things – the number of employees you have, the time of the day you want the space and most importantly the budget. Once you have decided on these factors it will be much easier for you to choose a space. Whether you are a startup, a freelancer or a small company, coworking spaces in San Antonino have got you covered. Browse through the list below. With so many coworking spaces to choose from in San Antonio, you will need to select the right space depending upon your need. Below we have listed some well-known coworking spaces of San Antonio along with their membership fee and other charges. 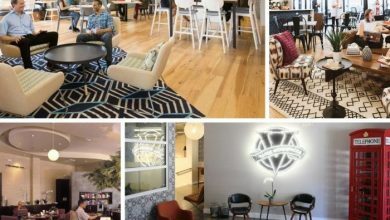 This coworking space in San Antonio claims itself to be the heartbeat of the startup ecosystem. 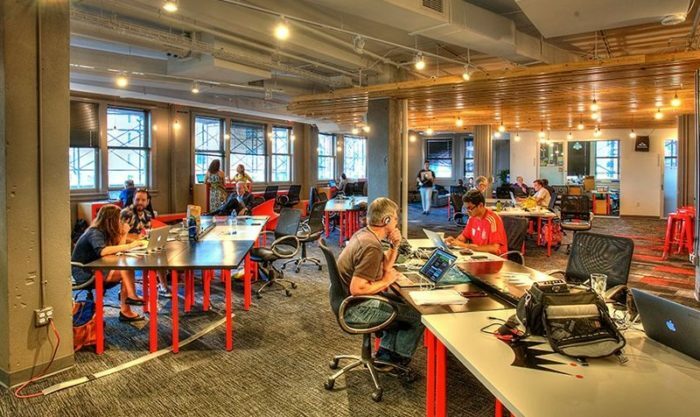 Geekdom is one of the most popular and largest shared office space in the city. It is spread over an area of 44,000 sq.ft. They have been providing different companies with a brilliant working space since the year 2014. Located at the heart of the city, it is a place where you will surely come across some of the best startups and entrepreneurs in San Antonio doing their work in a collaborative manner. They have mentors and conduct training and workshops from time to time to keet their members educated and motivated. The coworking space is available for the members 24/7. Other amenities include free coffee for all the members, high-speed wi-fi, availability of conference rooms and professional onsite staff. Membership Price at Geekdom coworking San Antonio: The monthly membership plans over here are quite affordable. They charge $25 per month for the military community and $50 per month for a desk in the common area with 24/7 access. The dedicated personal space is offered at $250 a month with additional benefits like mailing address etc. Location – The main address is 110 East Houston St., 7th Floor, San Antonio, TX 78205. For events space, you can visit 131 Soledad St., San Antonio, TX 78205. 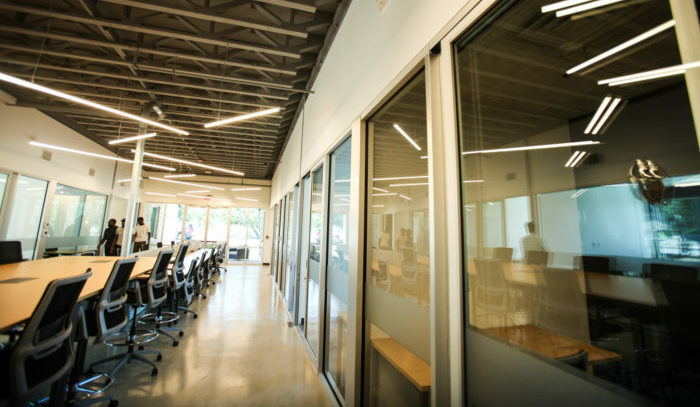 Venture X is one of the most renowned and trusted coworking space in San Antonio that is located in the heart of the buzzing locality of Stone Oak. 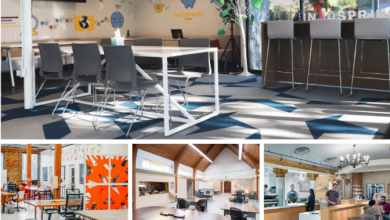 Spread over a huge area, Venture X hosts different local communities, startup companies and even Fortune 500 companies who want to provide their employees with a professional and efficient working environment throughout the year. The place also has good connectivity which makes it easier to reach here. Venture X has high tech meeting rooms, central Cafeteria and lounge which can house 100 people together, 24/7 keycard access to the working space, high-speed fibre Internet connection, free coffee or tea for all the members throughout the day. The working space also has a dedicated team of professionals to care for your smooth working. As far as membership pricing is concerned, the hot-desk option over here costs $250 a month with 24/7 access and a dedicated desk costs $475 per month. A private office at Venture X coworking San Antonio for 2 starts from $650 a month while for the same for a team of 3 will cost you $1600 on a monthly basis. Another good option for coworking in San Antonio is The Workery. 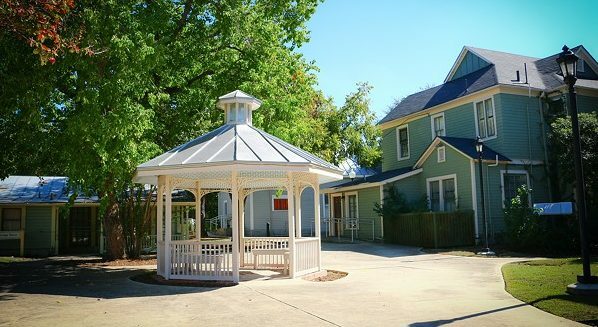 Located in Tobin Hill, this is a great space with affordable membership charges. Established in the year of 2016, the Workery has been the favourite working space for emerging entrepreneurs, startups and creators of the city. From a shared working space to a private office, this coworking space takes care of all your preferences. The diversity of this place is amazing and you will surely come across some brilliant brains working and enjoying together. Amenities – Some of the amenities that can be listed here include 24/7 access, high-speed Internet, efficient business printers, meeting rooms, mail handling, a large community kitchen and even an outdoor workspace. Price – Open seat plans in the lounge area cost just $60 a month. If you want to have a dedicated desk then it will cost you $300 a month. For startup teams who want a private office, the prices start from $600 a month. You can also have a day pass at this coworking space in San Antonio for $25 with access to all amenities. With 3 different locations in San Antonio, Venture Point is a favourite coworking space for many. Their tagline – ‘business hub for mobile entrepreneurs’ runs true to its meaning. The office space is tech-friendly and affordable. They have recently completed 10 years of existence. Amenities – Venture Point has a myriad of amenities that are available for all the members regardless of the plans they are paying for. The working space has ergonomically designed furniture which provides utmost comfort. Other perks include high-speed internet, 24/7 access, heating & air conditioning, guest reception, business printer facility, beverages and refreshments. Business lounge and common breakout spaces are also available. Another good thing about Venture Point coworking space San Antonio is that your pass gives you access to all of their locations. Price: Basic coworking membership plan starts from $148 a month that includes unlimited access and all the amenities excluding private mailing and free conference hours. This price can come down to $98 a month if you commit 12 months. Other coworking plans range from $198 to $348 depending upon your requirements. They also have an amazing plan that lets you use the space on an hourly basis at just $5 an hour. This requires no commitments at all and you pay as you go. Location 1:21750 Hardy Oak Blvd, Suite 102, San Antonio, TX 78258. 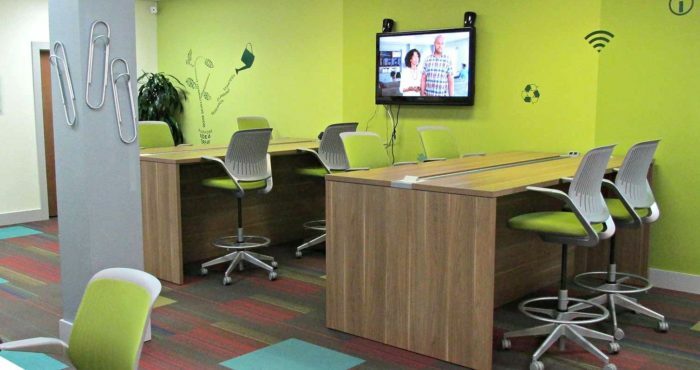 Whether to want a coworking space in San Antonio for a day, a month or even a year, Regus has all the options for you. 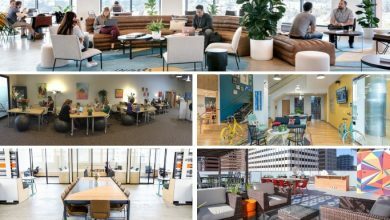 With 9 different locations in San Antonio, Regus can be considered as the biggest coworking space provider in this Texas city. 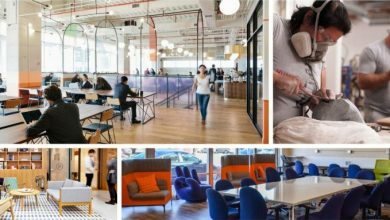 Each of these 9 locations offer a premium address and all the necessary amenities that you might look for at your workspace. With fully furnished and beautifully designed coworking spaces, Regus stands apart as an office address for your business. Amenities that you will get at Regus coworking space San Antonio includes 24/7 access with high-speed Internet, printing and scanning services, private meeting rooms, private mail handling, large community areas, kitchen, cafeteria etc. Price – The membership price of coworking or a private office at Regus San Antonio varies differently for each location. However, for an idea, an average office space will cost you $10.80 – $14.80 per hour or from $9.40 – $11.50 per hour. Meeting rooms are priced depending on the day, time and other factors. There are some other locations of Regus as well that you can find here. 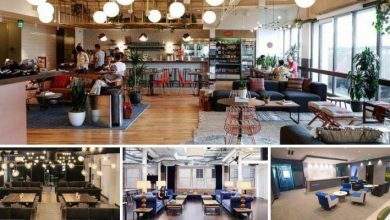 WeWork is one such name that has a coworking space in almost every city. San Antonio in Texas is the latest addition in the list. WeWork San Antonio will be a revolutionary coworking space in the city. Being one of the biggest and most successful coworking space in the city, they offer all your coworking needs starting from a simple desk, premium office suite, to an entire HQ. Their working space will have different modern facilities. You may get access to WeWork in San Antonio by early months of 2019. The pricing plans for WeWork will be disclosed as soon as the coworking space opens. In the meantime, WeWork competitors in Texas, USA are constantly increasing their services to get a larger share. 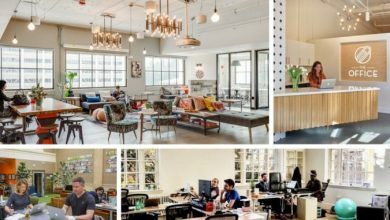 Among the best coworking spaces in San Antonio, one thing that is common is that each one of these is supporting the startup ecosystem of the city. You may choose a shared office space depending upon your locality, budget and requirements. A good mentor and a bright working environment are essential factors in the success of a startup these days.